A casual, European-style bistro in Charlevoix serving The Classics– simply and with flair. Featuring wood-fired pizzas, mussels and frites, pastas, Paninini, unique breakfasts and casual cuisine from other fine European traditions. Extensive offerings of Continental Beer, Wine & Spirits. 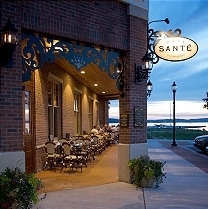 Seasonal outdoor seating available overlooking beautiful Lake Charlevoix.